Mardi Paws Scheduled for Saturday in Columbia Heights | Park View, D.C.
« Is There a Practical Way to Encourage More Businesses to Shovel Sidewalks During Snow Events? 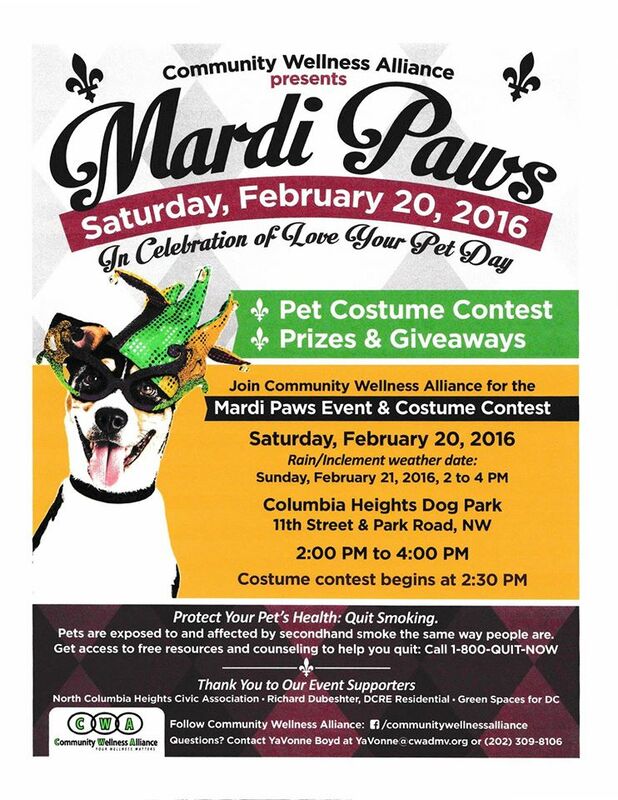 In celebration of Love Your Pet Day, there is a community Mardi Paws event on Saturday at the dog part located at 11th and Park Road. It sounds interesting and something that people might want to check out. I’ve included the flyer below. This entry was posted on February 18, 2016 at 7:01 am and is filed under Sports leisure and entertainment. You can subscribe via RSS 2.0 feed to this post's comments.